Phi Phi Island shopping is an important aspect of any Phi Phi Island holiday. Although the villages are not overwhelmed with shops and street vendors, there are many eager local merchants. One of the most popular items to buy in Thailand is the Phi Phi Island Jewelry. Phi Phi Island shoppin... read more. Phi Phi Island is a small island with 4200 inhabitants, with 2 Seven Elevens and one village of any real size. The Phi Phi shops sell a complete kaleidoscope of basic needs, travelers stuff and a whole host essential Phi Phi Island gifts however most non souvenir type items will be cheaper ... read more. 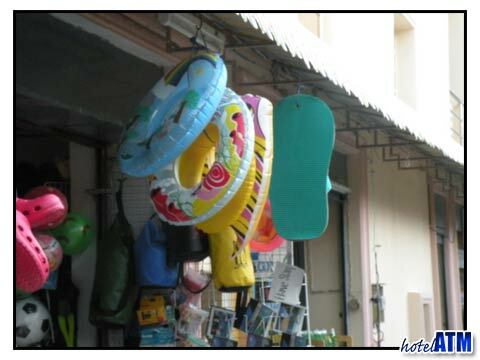 Phi Phi Island shopping is one way to uncover the exciting world of Phi Phi. Here you will find exceptional and exotic gifts that range from handmade jewelry to Island sports accessories. Kunstone Silver and Jewelry is a favourite amongst visitors partaking in Phi Phi Island shopping. YA Cl... read more. If you can get away from the beach then shopping in Phi Phi Island is a one-of-a-kind experience. You will find treasures beyond your expectations in Phi Phi - from beautiful silver jewelry to exotic apparel. There is something for everyone when you are shopping in Phi Phi Island, and no on... read more.